Religious leaders in Nigeria have been tasked to preach the message of integrity because of the important role they play in shaping the character and attitude of their followers. 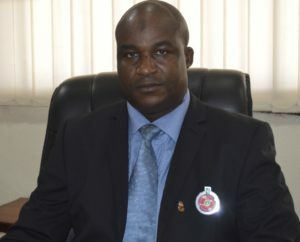 This was the message delivered to religious leaders from Lux Terra Leadership Foundation by the Acting Chairman of the Independent Corrupt Practices and Other Related Offences Commission (ICPC), Dr. Musa Usman Abubakar, during an education excursion by the Foundation to the Commission’s headquarters recently. Dr. Abubakar who was represented by Assistant Commissioner, Education Department, Mrs. Azuka Ogugua, stated that as leaders in both Christian and Muslim faiths, which are the main religions in Nigeria, they must first lead by example and then use their positions of authority to preach integrity messages that can help free Nigeria from the present quagmire of corruption and immorality. The Acting Chairman urged them to implement the suggestions, ideas and propositions that had always been made available to them anytime they visited ICPC in the past. In a paper presentation on the Overview of ICPC, Mrs. Ogugua, explained to religious leaders the mission, vision, and the mandate of the Commission. She laid particular emphasis on the preventive mandate of the Commission: “It is cheaper to prevent corruption than to cure it” she said, and added that the Commission had put so many measures and strategies in place to make this mandate effective. Ogugua pointed out that one of the aims of the Commission’s work is to end impunity by bringing offenders to book. She concluded by reiterating the need for them to play their role effectively in the fight against corruption. Earlier, the Manager, Training, Lux Terra Leadership Foundation, Mr. Henry Ijomah, had said that their visit to ICPC was part of the activities lined up in their “intensive training” and that it was also aimed at identifying with the work of the Commission.